Start at the beginning. Breath and bandha are essential to the Hatha yoga practice. In seasons 1 and 2, Jani explores the intricacies of these somewhat forgotten practices of pranayama, bandhas, and marmas. In season 3, he weaves these lessons back into our asana practice to align with the roots of Hatha yoga. In Season 2, Jani will share tutorials on 8 Bandhas their associated Marmas so that we can apply this to our asana practice and ultimately improve our concentration. In Season 2, Jani will share tutorials on 8 Bandhas and their Marmas so that we can learn apply these lessons to our asana practice. Jani speaks to the characteristics of Ha and Tha and how these apply to the bandhas and the marmas. Jani guides us through a tutorial on how Mulabandha works with marmas and the ha and tha characterstics of Mulabandha. In Season 3, we move into asana exploration, honing in on all of the details we've explored through Seasons 1 and 2. 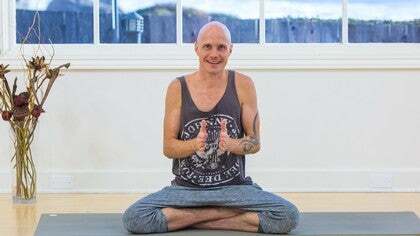 Jani welcomes us to Season 3, where he weaves these lessons of Season 1 and 2 back into our asana practice to align with the roots of Hatha yoga. Jani shares an advanced hip-opening practice to help strengthen the muscles around the hip joint, incorporating elements from Season 1 and 2. Jani guides us in a meditation practice to find concentration and observe the physical elements in the body—earth, air, fire, water, aether.